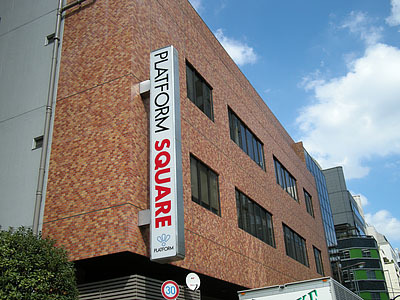 JLPT ACADEMY, founded in 2011, is located near Otemachi station in Tokyo. We are established in order to offer a class specialized for Japanese Language Profiency Test. We believe that studying for JLPT will make your life in Japan much more fruitful. Passing the JLPT will greatly improve your career in Japan. And Studying for JLPT is a great way to improve your Japalanese language ability. We guide you to success in passing the examination by our efficient and effective lessons, which are taught by qualified and experienced professional teachers. 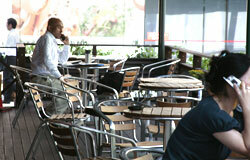 Presently we offer Japanese lessons for various purpose; Business Japanese, Writing skills, Daily Conversation etc. JLPT ACADEMY sends Japanese teachers to student's offices in the areas covered(Tokyo, Saitama and Kanagawa). Let us run with you towards the same goal. 11minutes walk from west exit. After graduating university, I worked for a travel agency. After studying abroad in the UK, I began teaching the Japanese language in 1997. At that time, my students consisted of international and pre-college students, and businessmen and their families. I then went on to teach at a Japanese School in Thailand and in a community college in Hong Kong. My master in my research thesis was “Contact situations of Foreign Business men and women in Japan,” in which I studied the Japanese educational needs of business people living and working in Japan. 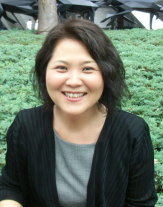 In 2011, I returned to Japan and established JLPT Academy with my partner Ms. Nozawa. From my experience in teaching students from such diverse backgrounds, I have come to realize that there is no single “most effective way” to teach Japanese. If you take 10 different students, there are 10 different approaches that are best for them individually. Therefore, we think about each and every student and how we can best educate them here at JLPT Academy Japan. We are highly motivated to continue to improve the learning methods we provide in order to assure the best possible education for each student, and thus the most succesful method to pass the JLPT. Rest assured JLPT Academy will help you with these concerns. Give us a little bit of your time, and we will provide the shortest possible way to passing the JLPT with our efficient and effective classes. After working for a bank, I decided on a change of career and went on to become a Japanese teacher. I taught for three and a half years in Malaysia, teaching all manner of students such as businessmen, college students, international students etc. I also taught Japanese in domestic companies and, in the position of course co-ordinator at a Japanese school, developed course curriculums tailored specifically to students' individual needs. I started JLPT Academy in 2011, because I wanted to provide a special kind of class designed for, and dedicated to, JLPT test preparation. As well as an instructor, I am also a professional lifestyle coach. Professional coaching is designed to help organize one's knowledge, and thus support effective goal achievement. By combining my skills, I have found a way to integrate this methodology into my Japanese classes, making for the most effective test prep possible. Just stop for a moment…and imagine how your life would be if you could speak and understand Japanese as fluently as you desire. No doubt a great many opportunities would arise for you, so many bars to progress would be lifted, to say nothing of the personal satisfaction you would surely get. For those living in Japan, surely life would be that much more fruitful. Setting a goal such as passing the JLPT and achieving that goal provides enormous persona satisfaction. Let us help you do just that!